The μPAC-5XX1 series is an enhanced version of μPAC-7186EX. It provides C tool kits for C programmer. Owing to the bigger and special form factor design, the μPAC-5XX1 can add an internal wireless module, such as 2G, 3G, ZigBee, Wi-Fi, GPS for different wireless application. The optional I/O expansion board, XW-board, is two times larger than the X-board of μPAC-7186 and provides high-protection I/O. 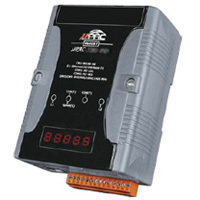 With built-in micro SD, the μPAC-5000 can be used as a data logger. COM 2 RS-485 (Data+, Data-) with internal self-tuner ASIC; non-isolated, Speed: 115200 bps max. The Global Positioning System (GPS) is a space-based global navigation satellite system (GNSS) that provides reliable location and time information anytime and anywhere on the Earth when and where there is an unobstructed line of sight to four or more GPS satellites. The GPS is widely used for driving navigation, geographic monitoring, fl eet management and cargo tracking, etc. We also can use GPS for industrial application according to its longitude and latitude value and UTC time. 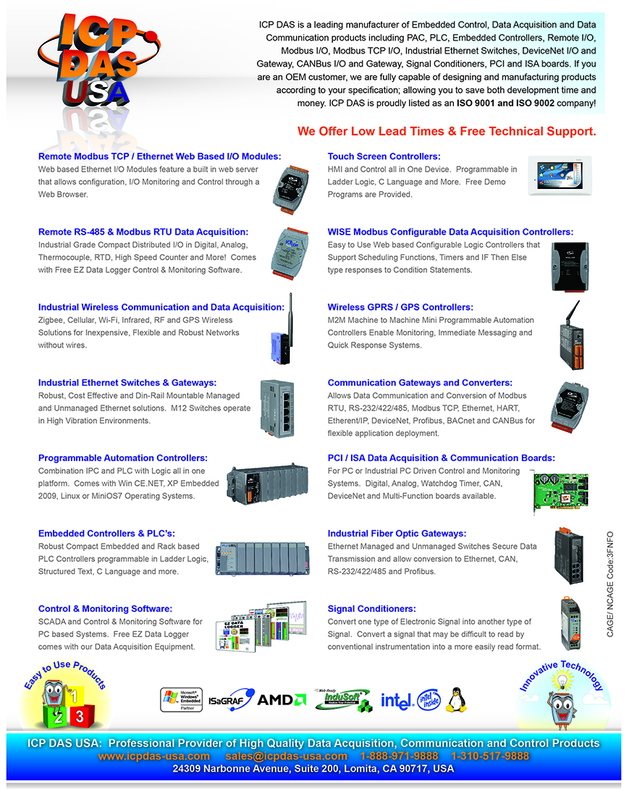 The wireless 2G (GSM, GPRS) and 3G (WCDMA) are the public wireless telephone technologies. The wide range of remote control applications are enabled by 2G/3G services such as audio, SMS, GPRS and WCDMA. Additionally, these applications can manage a small, medium and large number of unmanned remote devices as well as mobile terminals using the 2G/3G telecom network. They are widely applied in various applications like hydrographic monitoring, intelligent power, fl ow meter report system and GPS car-tracking system anytime anywhere. Wi-Fi (Wireless Local Area Network) links devices by wireless distribution method (spread-spectrum or OFDM radio), and generally provides a connection through an access point to the Ethernet network. The applications of Wi-Fi are getting more popular by mature technology. These Wi-Fi applications can reduce the troublesomely wiring works and have higher mobility than Ethernet network. Additionally, Wi-Fi technology allows users to move device within a local coverage area, and still be connected to the network. High-bandwidth allocation for wireless will make a relatively. ZigBee is a specification based on the IEEE 802.15.4 standard for wireless personal area networks (WPANs). ZigBee operates in the ISM radio bands and its focus is to define a general purpose, inexpensive, self-organizing, mesh network that can be used for industrial control, embedded sensing, medical data collection, smoke and intruder warning, building automation, and home automation, etc.